No summer would be complete without a swim. Whether you're dipping your toes in or taking a few laps, the place to be this season is in the water. Regardless of whether or not you know how to swim, a pool float is perfect accompaniment for it. Not only will it keep you afloat, it'll also give you the chance to lounge rather than strenuously doing the butterfly stroke. 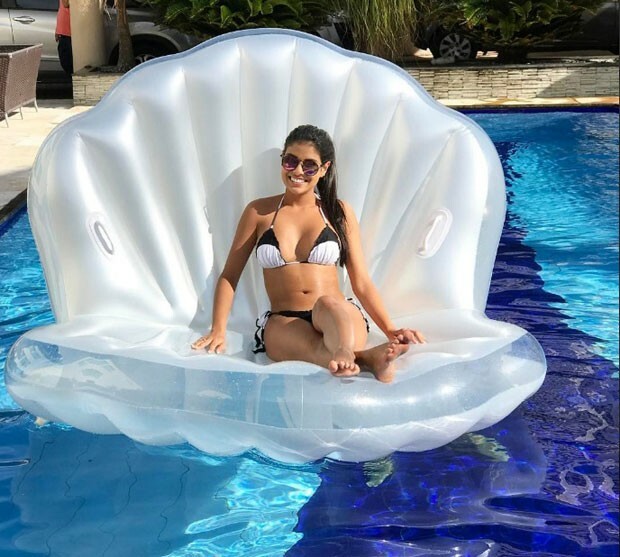 And especially if your float is cute, it'll work fabulously for the 'gram. 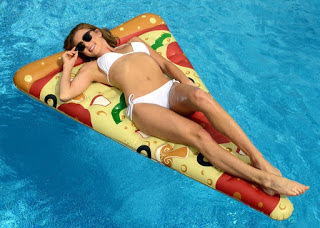 This summer, these seven pool floats will be too cute to ignore. If a slice of pepperoni 'za is on your mind, this pizza slice float is just what you need in the water. For the time being at least until you can get your hands on the real deal, that is. On a romantic getaway with your significant other and aching for him to pop the question? This float will make for the perfect hint. Plus, that diamond makes for a great head rest. Want to pretend you're Aphrodite beautifully emerging from a clam? Fake it with this adorable float and don't miss the pearl in the centre. 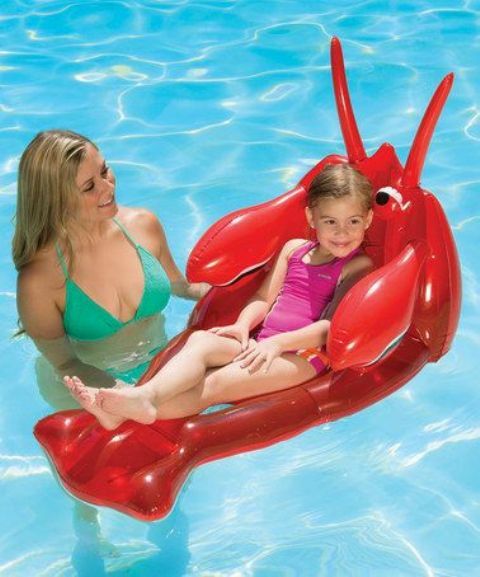 If your little one makes a fuss about entering the water, this small sized float will lure her in and be fun to play with. Still got your mind on tasty treats? Then this pretzel shaped float is for you. It isn't as good as the real thing but it sure can give your back support. Too glam to give a damn even in the pool? Then these luscious lips are perfect for you. They're ideal for Instagram moments in the water and will even match your red pout. 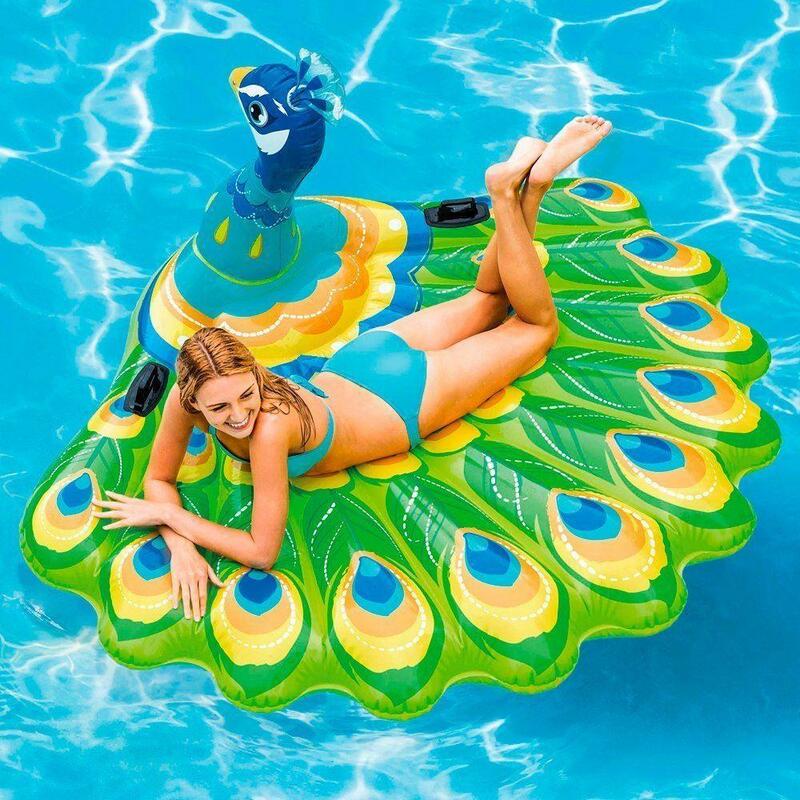 Giving a new meaning to preening like a peacock is this incredible float. Not only is it pretty to look at, you won't need to squirm and shove if you want a full body lounging experience.